Cable splicing and stripping are the important tasks that a technician or an electrician perform quite frequently. In most cases, a ring cutter and utility knife suffice for these jobs. However, there are exceptions. There are regions where the local authorities do not allow a cutter for stripping the cables for metering associations. In fact, they only legal tool in these regions for such jobs is a knife. Further, a ring style stripper is perfect for handling the multi-core cables, while a knife is useful for single insulated cables in metering connections. So, if you are looking for one such knife for both stripping and splicing jobs, the 44200 knife from Klein Tools can be your best bet. It replaces all special strippers, as it performs these tasks quite satisfactorily. Such knives were basically used as a utility knife prior to the creation of disposable bladed versions, cable rippers, ring style CAT strippers, and sheathing cutters. However, today, this knife from Klein Tools can strip wires including the Romex ones and the big THHN, splitting outside cables and sheaths, remove sheathing from various cables, and splice cables of various insulations. This knife from Klein Tools is a special-purpose tool featuring a genuinely small and thin blade to do the splicing and splitting jobs smoothly. It comes as sharp as razor, which means you can start using it after unpacking it. Let’s now explore its main features. Well, one of the most recommended blade types that an electrician’s knife should have is the coping blade. This is perhaps the most appealing feature of this knife. A coping blade comes with a straightforward spine that is parallel to the blade, but tapers toward its tip. Such a spine creates a thin and sharp point. This geometry gives a good cutting tip for not only opening packages but also stripping or skimming cables or wires. The tip can also give warped cuts. Such a blade is also thin enough to make cuts in the areas that are genuinely tight. This makes the blade ideal for detail work. Such a blade can easily strip a large wire. While the tip is sharp, you cannot mistakenly stab yourself with it. The blade holds its edge for a longer time than expected, if your home or resharpen it nicely. Length wise, the blade is short, which also adds to its admirable performance. The blade of this knife is made using 1095 high carbon steel that is non-stainless but of finest cutlery quality meticulously forged as well as tempered for retaining the edge for long. The best aspect of this material is its toughness. Although harder, it is more brittle than steels having low carbon content. 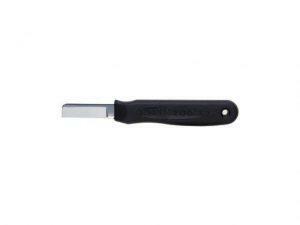 Still, it is popular amongst the knife users for its ease of sharpness, edge retention, and toughness. In this blade, this steel is a cost-effective material. 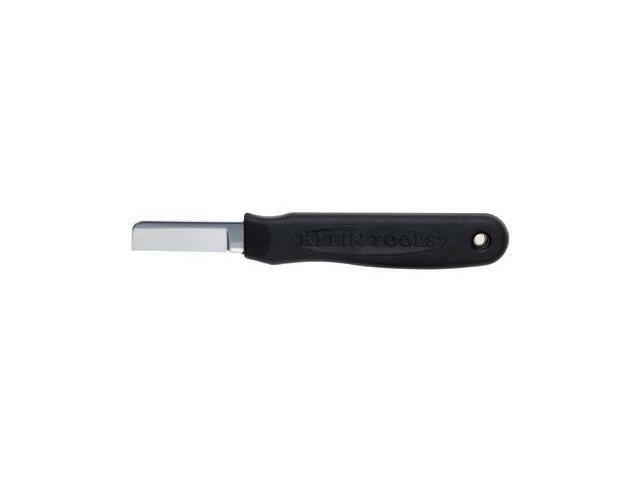 This knife features a heavy-duty and full-sized handle that is made up of dipped plastic. The handle is textured so well that it ensures non-slippery holding and grip, even if your hands are wet. Such a handle ensures less hand fatigue and delivers more control to your work. The plastic used to make the handle is highly dielectric, which means that it is a bad conductor of electricity. Are you a busy electrician or technician who keeps moving frequently from one place to another? If yes, then you will appreciate the hang hole at the handle’s end. This hole facilitates easy movability as well as easy storage. 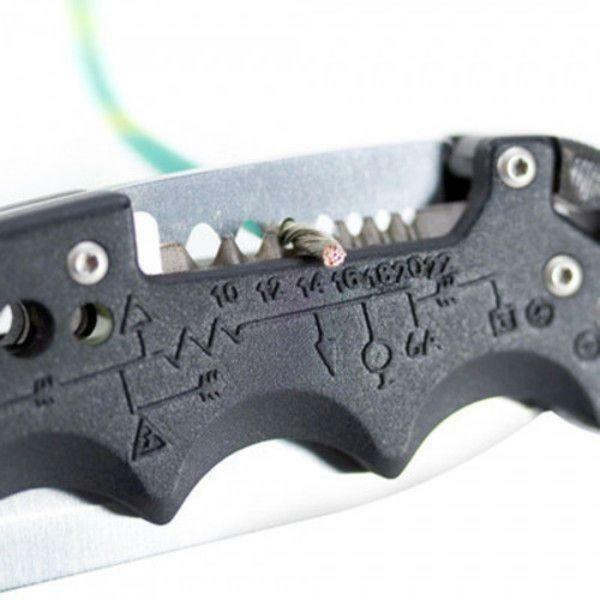 This cable splicing knife does exactly what it promises to do. 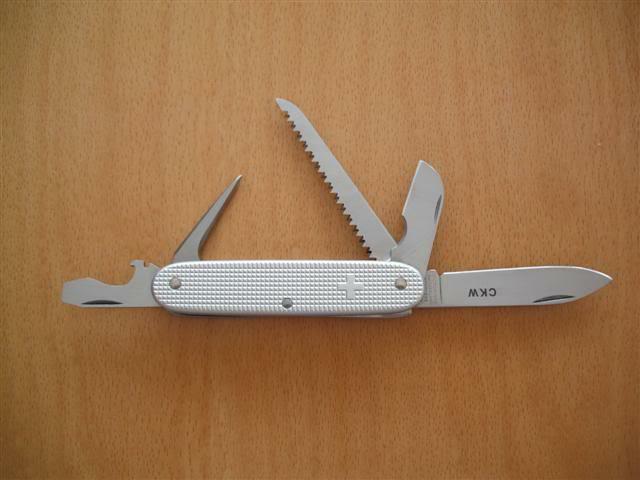 It is one of the essential tools for every technician to have in its toolkit, if there is no utility knife or a ring cutter in it.